Tube Filling Sealing Machines|manufacturers and suppliers|in Mumbai,India. 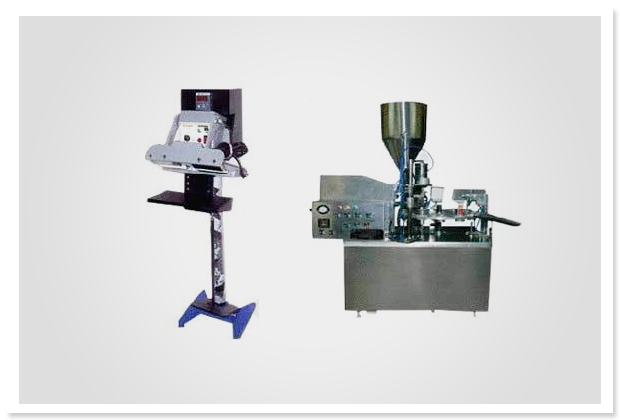 With the help of our team of professionals, we have been able to manufacture a large collection Tube Sealing Machines. Moreover, our range of machines is made from quality assured materials and is accurately fitted with audio visual alarm and production counter indicator. foot operated / manually operated. lemi tube attachment: - the hot air blower tool is fitted on aluminium brackets; one hot air blowing nozzle is provided according the tube sizes along with the basic machine. construction: contact parts fully s. S. 316material and non- contact parts 304 material.